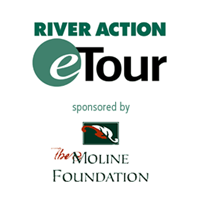 Channel Cat Talks and Riverine Walks 2019 | River Action, Inc.
Channel Cat Talk participants tour the Mississippi River aboard the Channel Cat Water Taxi, while experts narrate. Meet at 9 a.m. at the Riverbend Commons Dock, 2951 E. River Dr, Moline, IL. Headsets are provided to all Channel Cat Talk attendees for each session so you can clearly hear the presentations! Channel Cat Talks are $14 per person. May 28 and May 30 | Set Sail with Don Allebach. June 4 and June 6 | Photography: On and Near the River with Brian Tugana. June 18 and June 20 | The History of Fort Armstrong and Arsenal Island with historian Gena Schantz. June 25 and June 27 | What does the U.S. Coast Guard do? with Mack Parker, of the U.S. Coast Guard. July 9 and July 11 | Raptors along the River with naturalist Dave Murcia. July 16 and July 18 | Historic Bridges of the. Quad Cities with historian Curtis Roseman, Ph.D.
July 23 and July 25 | Where does all the sand and gravel come from? with Brian Dockery of RiverStone Group. July 30 and August 1 | Beiderbecke and Bellson with Josh Duffee of Bix Society. August 6 and August 8 | Development in the QC with Bill Ashton of Ashton Engineering. August 13 and August 15 | River Landscape Mosaic, Augustana College professors Dr. Norm Moline and Dr. Reuben Heine. August 20 and August 22 | Opertions and Maintenance of the Nation's Waterways with Josh Hendrix, geotechnical engineer, and Anthony Huddlesten, civil engineer, with the USACE. August 27 and August 29) | Midwest Precipitation: Past, Present and Future with Ray Wolff of NOAA. 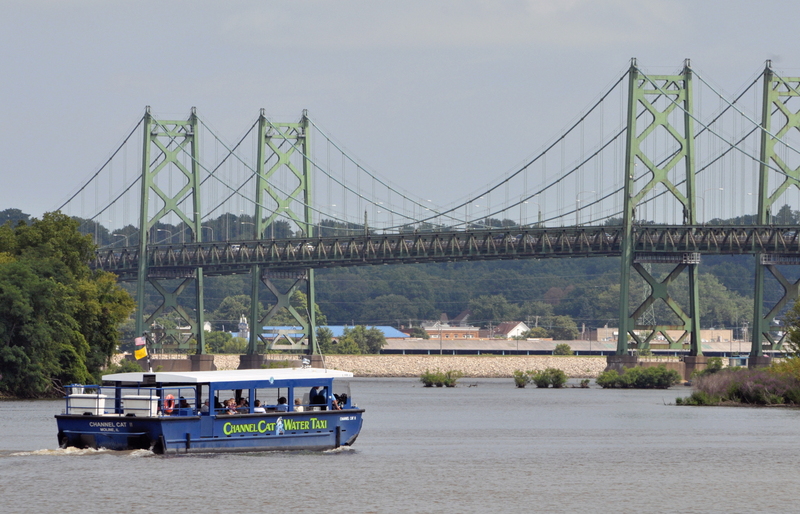 Riverine Walk participants explore the Quad Cities through a series of guided walks. Wednesday talks from 6:30 p.m. to 8 p.m. and Saturday talks are from 9 a.m . to 10:30 a.m. Each walk will meet at a different location. See below for details. If you are curious about the terrain or difficulty of a walk please call River Action for more information (563) 322-2969. Riverine Walks are $6 per person and FREE for River Action members. May 29 and June 1 | Walk with a Doc with Cheryl True, M.D. Meetss at Leach Park, Bettendorf. June 5 and June 8 | Understanding Flood Plains and Floodplain Management with Wayne Wille, a certified flood plain manager. Meet at River Heritage Park, Davenport. June 12 and June 15 | The Center of Black Hawk's Universe: History and Archaeology at the mouth of the Rock River with Ferrel Anderson. Meets at Watch Tower Lodge, Black Hawk State Historic Site, Rock Island, west parking lot. June 19 and June 22 | Riverside Cemetery with Kathleen Seusy. Meet at Riverside Cemetery masoleum, 2900 6th Ave., Moline. June 26 and June 29 | A Walk on the Wild Side with naturalist Chuck Wester. Meet at parking lot west of the lodge at Black Hawk State Historic Site, Rock Island. July 10 and July 13 | Barge Fleeting with Walt Bassow. Meet at Upper Mississippi Fleeting, 128 Front St., Buffalo. July 17 and July 20 | Sylvan Island Area: History, Recreation, and Sustainability, Dr. Norm Moline, Augustana College. Meet at Sylvan Island Gateway Park. July 24 and July 27 | Historic Moline with historian Curtis Roseman. Meet at Moline waterfront just east of TGI Friday's restaurant. 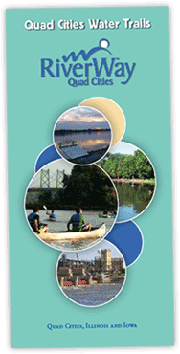 July 31 and August 3 | River Confluence: Historical Importance, Recreation Potentials with Dr. Norm Moline. Meet at parking lot, Big Island Road, Hennepin Lock 31, Milan. August 7 and August 10 | Downtown Rock Island: The Past is the Future with Miles Brainard, urban planner. Meet at Schwiebert Riverfront Park, Rock Island. August 14 and August 17 | Deep Maps – Historic Geography of Pool 16 of the Mississippi River with Dr. Rueben Heine. Meets at the north end of Lake Potter at Sunset Park, 18th Avenue, Rock Island. August 21 and August 24 | Best Management Practices within an Urban/Riparian Interface with Brittany Ackerland, city of Davenport. Meet at Duck Creek Park trailhead. August 28 and August 31 | Messy Fields make Good Neighbors with farm operators Jennifer and Robb Ewolt. Meet at the red machine shed at Ewolt farm, 10386 130th St., Davenport. If the captain or Riverine Walk leader cancels, a rain date may be scheduled. No refunds.